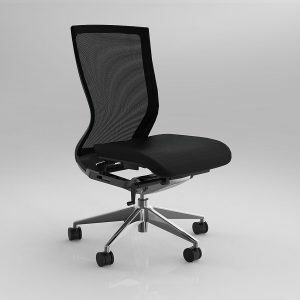 Freeway Urban chair with polished alloy base and black powdercoated 3 lever mechanism. 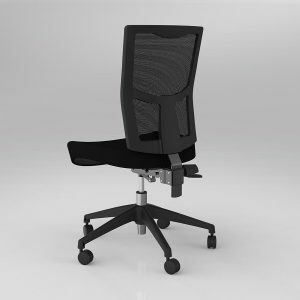 No arms, Black mesh backrest, Backrest height & angle adjustable, Seat height and angle adjustable – upholstered in Black Breathe fabric. 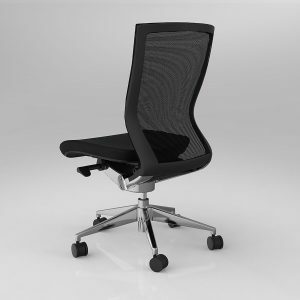 160kg Rating, 10year Guarantee. 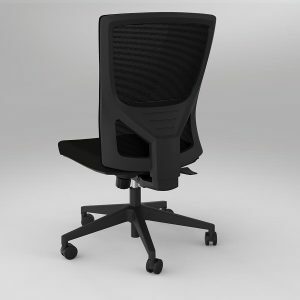 Balance Task chairs with Black nylon base and black powdercoated mechanism, No armrests, Black intelli-mesh backrest, seat upholstered in Black Breathe Fabric. 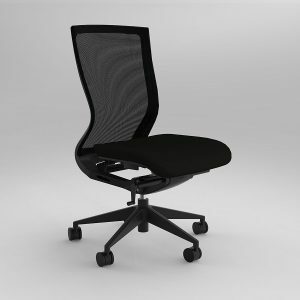 Freeway Urban chair with black nylon base and black powdercoated 3 lever mechanism. No arms, black mesh backrest, backrest height & angle adjustable, seat height and angle adjustable, includes Motion felt seat cover. 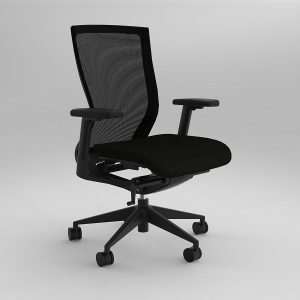 160kg Rating, 10year Guarantee. 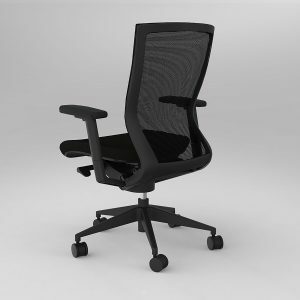 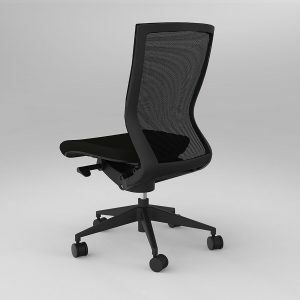 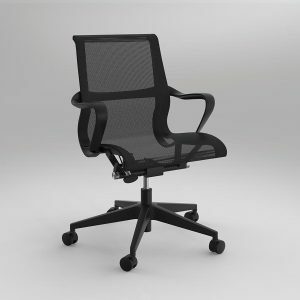 Scroll chair with Black mesh and Black nylon base, Full mesh one-piece back and seat. 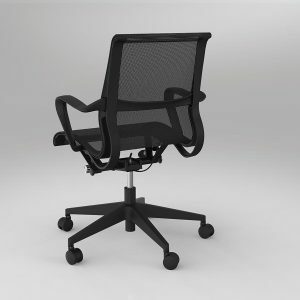 Wire control for up and down adjustment. 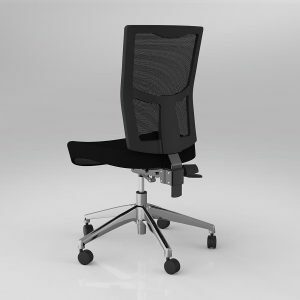 Contoured fixed armrests. Tension adjustment for chair reclining. 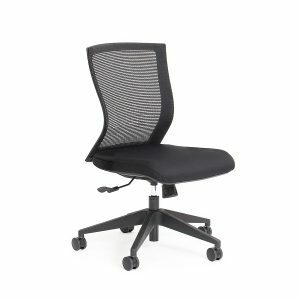 Freeway Urban chair with polished alloy base and black powdercoated 3 lever mechanism. 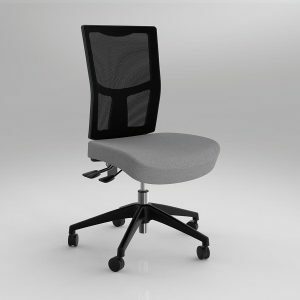 No arms, black mesh backrest, backrest height & angle adjustable, seat height and angle adjustable, includes Motion felt seat cover. 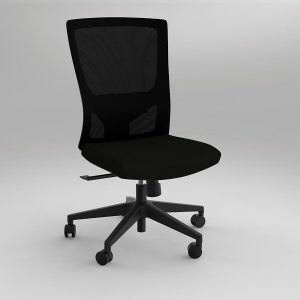 160kg Rating, 10year Guarantee. 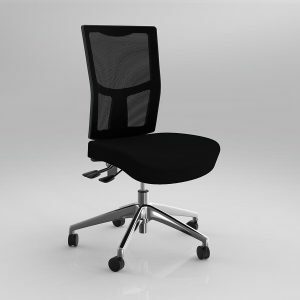 Balance Executive chairs with polished alloy base and mechanism, seat slide, Black intelli-mesh backrest, zip-on seat upholstery and foam, upholstered in Black Eurotex PU.